New York, NY : Harper Audio, 1990. 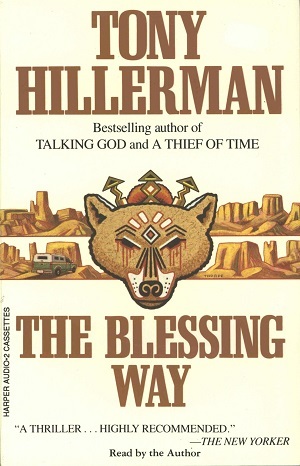 This is an audiobook edition of The Blessing Way that is read by Tony Hillerman. It is recorded on 2 audiocassettes, and includes a cardboard case with a full color printed cover - the design of which was based on the Harper paperback edition published the same year (cover design by Peter Thorpe). Each side of the cassettes runs about 45 minutes (184:10 or a little over 3 hours total running time).